Next story Xojo 2017 r1.1 – Object-oriented programming tool (was Real Studio). Previous story Outline 3.19 – View OneNote notebooks. 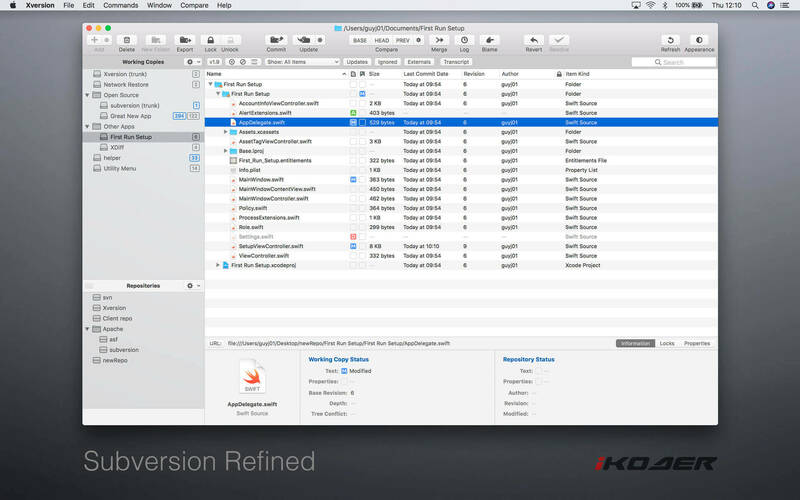 Xversion 1.2.1 – Elegant management of Subversion copies and repositories.